people into full 3D detail. the answers. Perhaps more about him will come in the sequel. 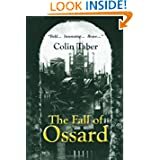 As evil takes a firmer grip in Ossard, Juvela’s own powers begin to awaken. At first we are led to believe her dead grandmother is trying to help her, but this becomes questionable as Juvela’s power continues to grow. One almost begins to feel her grandmother is using Juvela as a means to steal souls and build her power base in the Celestial. As Juvela’s ability to look into the Celestial—the realm of gods, spirits, souls, and raw magic—becomes stronger, she gains in magical powers and is able to help keep her people alive when they are attacked. But she is not strong enough to stop the kidnapping of her husband, child and her in-laws. Will she be able to find those she loves and rescue them before they can be sacrificed in a battle for power? Posted by Denna Holm on September 8, 2011 in Archives.